If you're like me, you ignore the Nutrition Facts label on your food. I know I should be reading it, but a serving of Pringles is only 16 chips? Please! I eat that in 20 seconds. Of course, I might change my habits if there was some sort of monetary compensation for eating better. There is no such promise with the Nutrition Facts label. 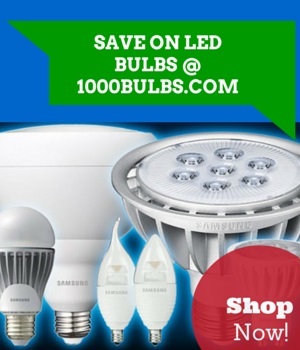 However, there is immediate compensation in energy savings when you follow the LED Lighting Facts label published by the US Department of Energy or the Lighting Facts Label published by the Federal Trade Commission. These innovative labels appear on the packaging of all light bulbs manufactured since January of this year. The biggest difference between the DOE LED Lighting Facts Label and the FTC Lighting Facts Label is right there in the title. The DOE label is only for LED lighting. The FTC label, on the other hand, applies to any bulb with a medium screw base manufactured after January 2012; this includes incandescent bulbs, Halogen bulbs, CFL bulbs, and LED bulbs that do not already have a DOE label. Another difference is that the FTC label is mandatory, while the DOE label is voluntary. Also, the DOE label is independently verified, while the FTC label contains data solely from the manufacturer. The DOE's independent testing, combined with more detailed information, can make it more helpful to retailers, lighting designers, and contractors who need specific lighting data for their clients. The FTC label, on the other hand, contains only the information useful to the typical homeowner. Some of the specifications left out on one or the other label may surprise you. The FTC label, for example, does not include figures for efficacy (the ratio of light output to energy use) or color accuracy. To most homeowners, however, those specs aren't too important. The missing specs in the DOE label are more notable. The DOE label doesn't include lifetime, estimated energy cost, or mercury content. Each of these, however, is left out with good reason. Lifetime is left out because, as of now, there is no standard for testing the lifetime of an LED bulb. Estimated energy cost is not included because of the label's focus on commercial applications, in which lighting designers will need to perform more specific calculations. Finally, the DOE label does not include a statement of mercury content because LEDs do not contain mercury. This helpful brochure from the US Department of Energy explains the LED Lighting Facts label in more detail, while this PDF compares the DOE and FTC labels. If there are other specifics you would like us to cover, be sure to leave a comment below or contact us on Facebook, Twitter, or Google+.